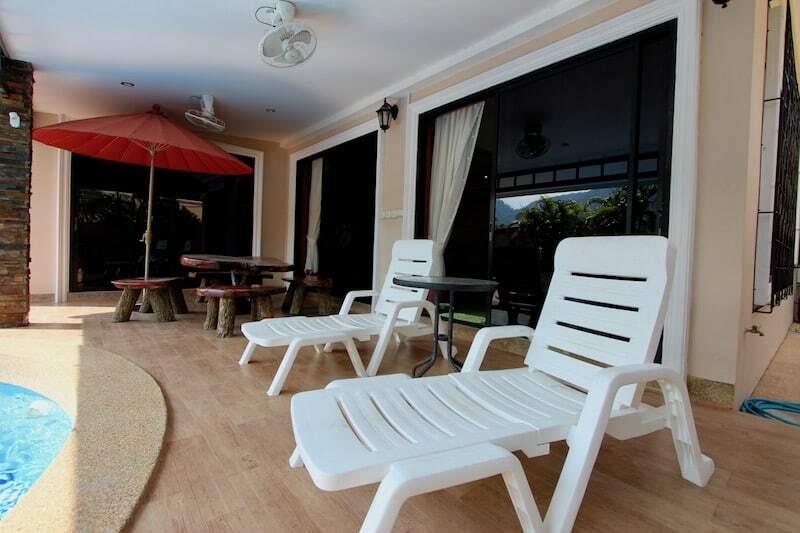 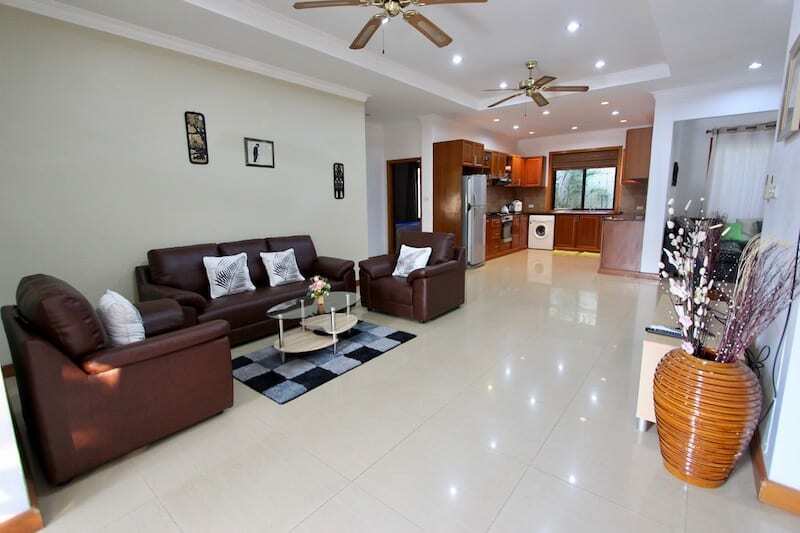 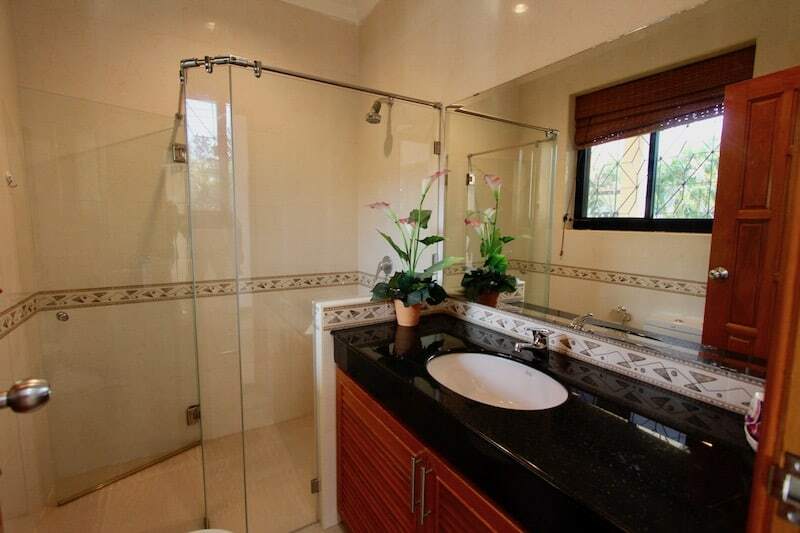 Home HUA HIN HOME FOR RENT NEAR TOWN CENTER, GREAT LOCATION! 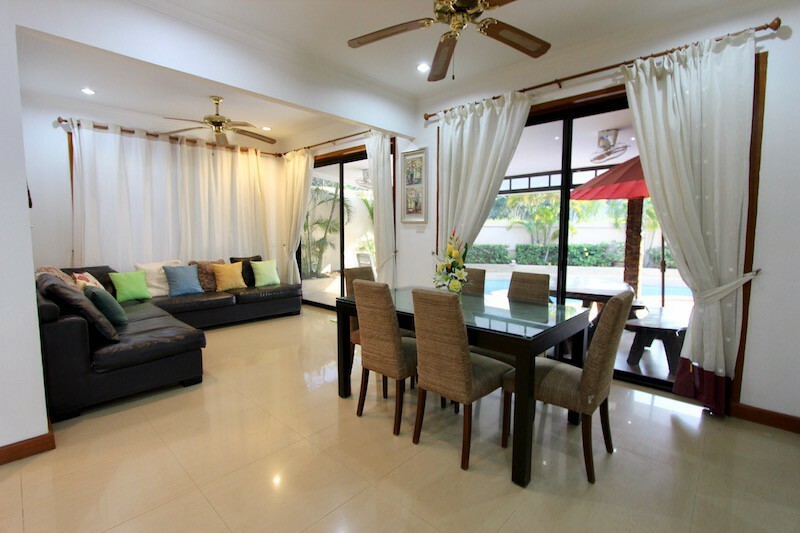 HUA HIN HOME FOR RENT NEAR TOWN CENTER, GREAT LOCATION! 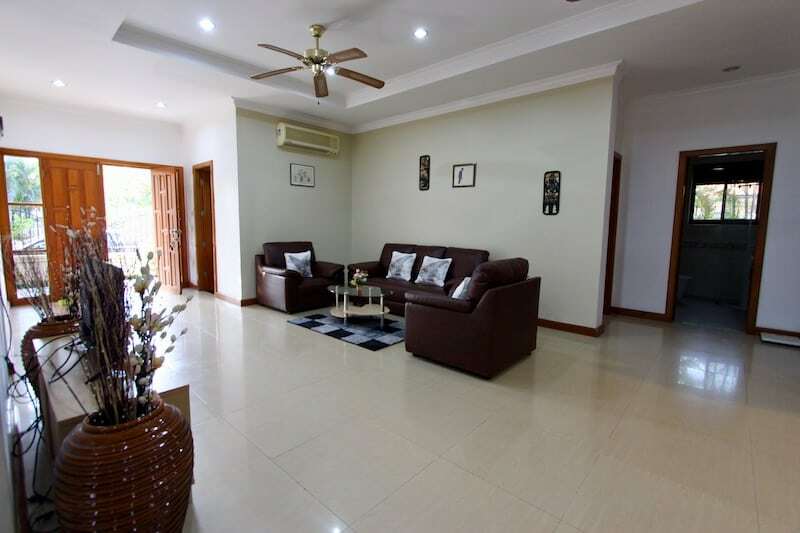 This is a fantastic opportunity to rent a fully furnished, high quality home just a few minutes from downtown Hua Hin in a quiet area. 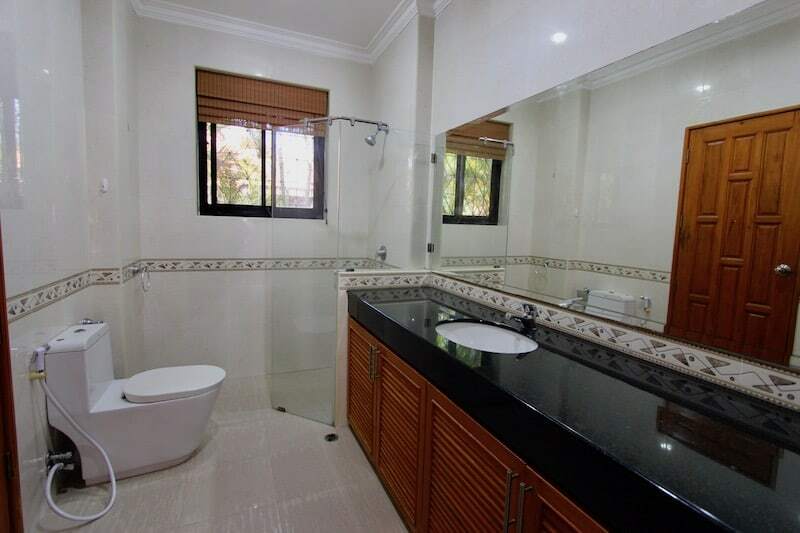 The property is located on a corner plot within a completed development, so there is a lot privacy with the added benefit of being within a completed development and a community with many full-time residents. 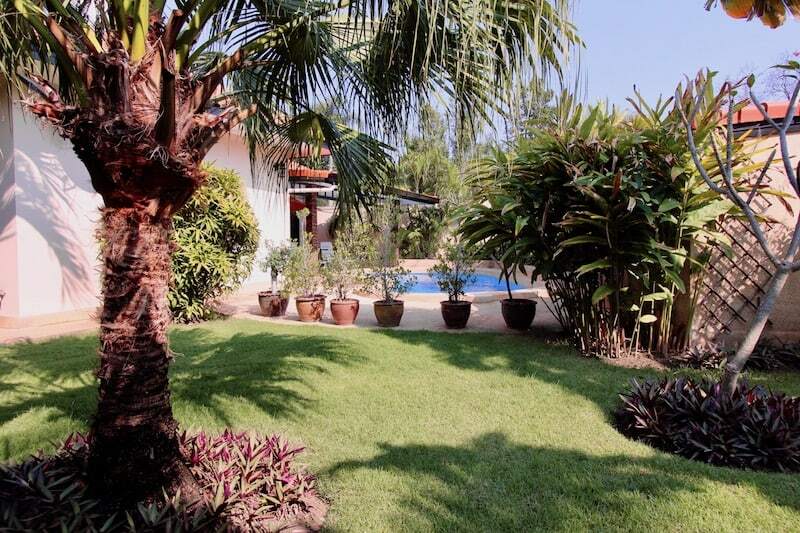 The property is quite spacious with a large, manicured garden and outdoor living area, plus a covered terrace for additional outdoor lounging and dining space. 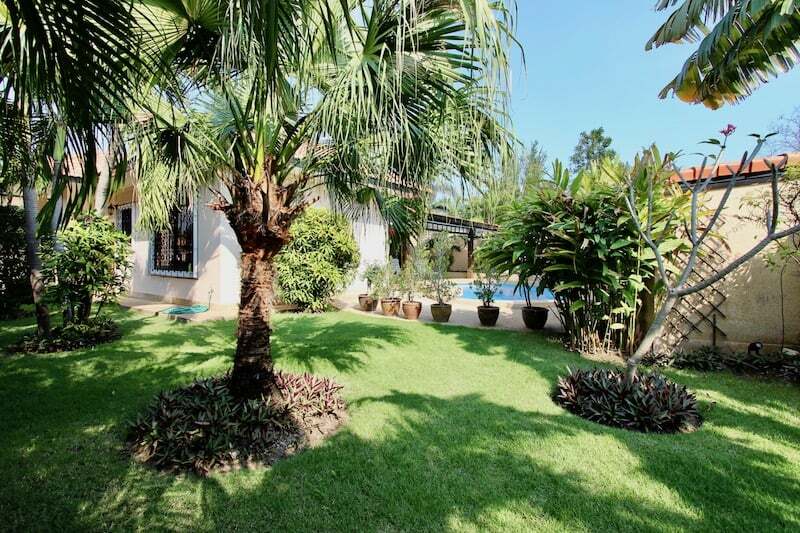 The home has a lovely free form swimming pool which overlooks the mountains and natural beauty beyond the privacy wall of the property. 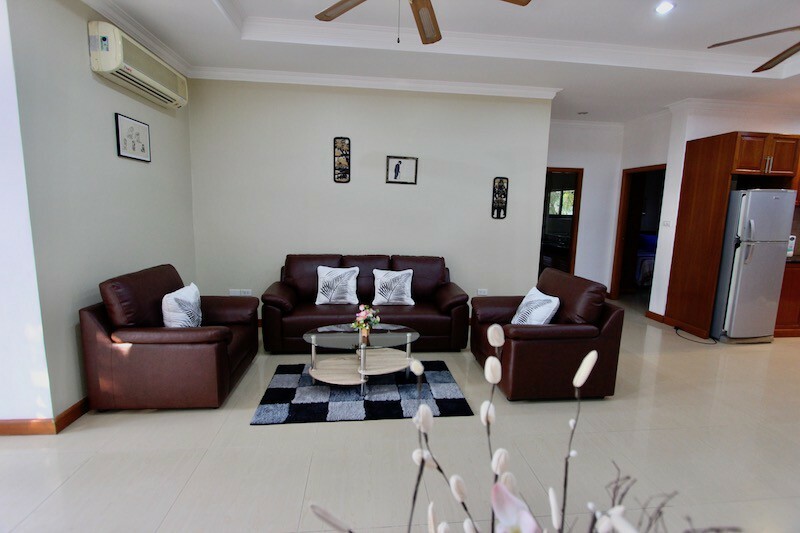 There is an open plan living room with brand new lounge set, plus an additional large sofa, perfect for curling up with a good book. 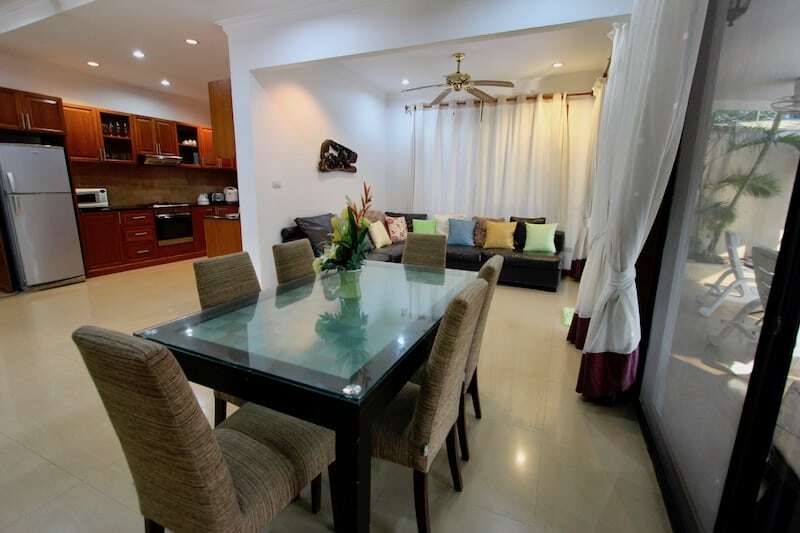 The dining set has 6 seats and a modern glass table. 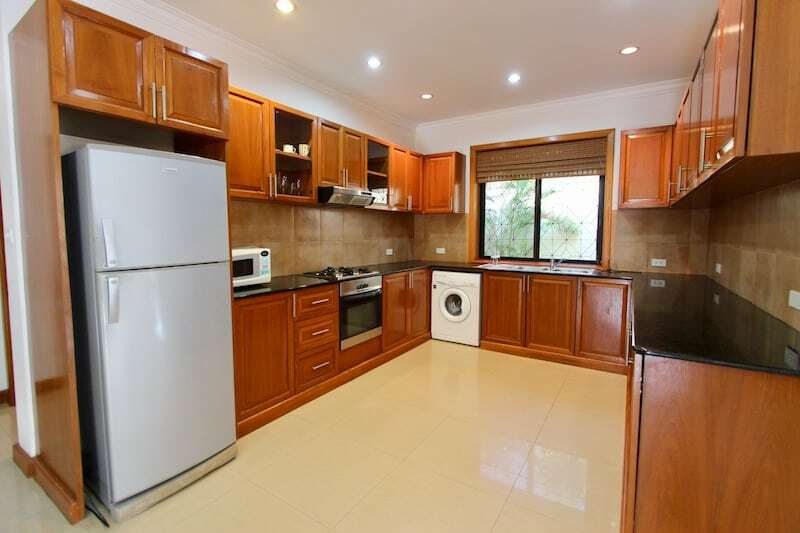 The kitchen is fully equipped with all appliances, including a gas stove, an oven, microwave, double sinks and washing machine. 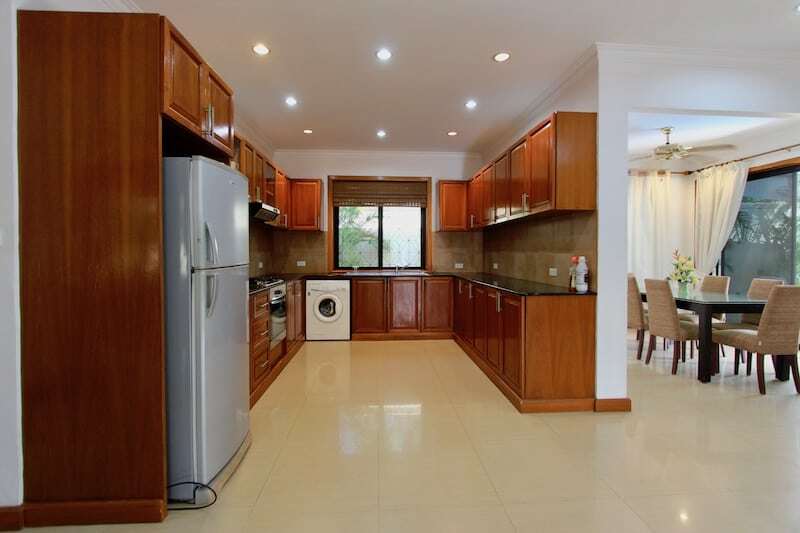 There are nice wood cabinets with ample storage room and black granite countertops. 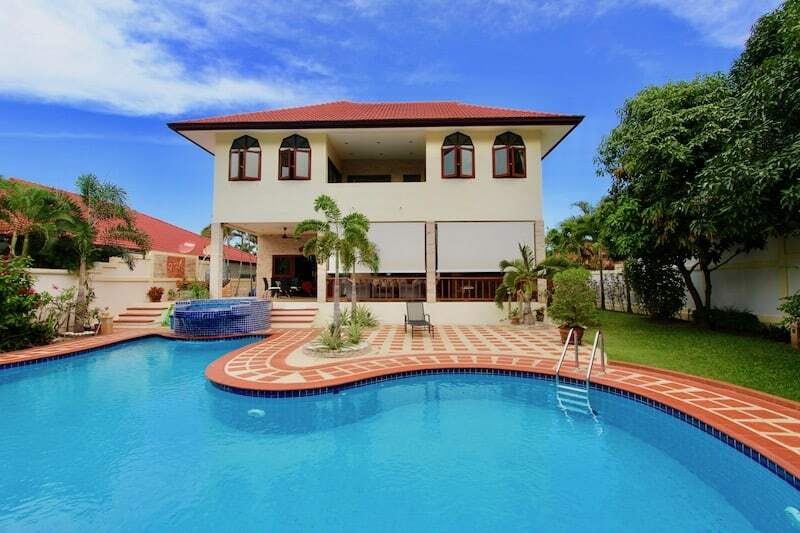 The home includes 3 large bedrooms and 3 bathrooms. 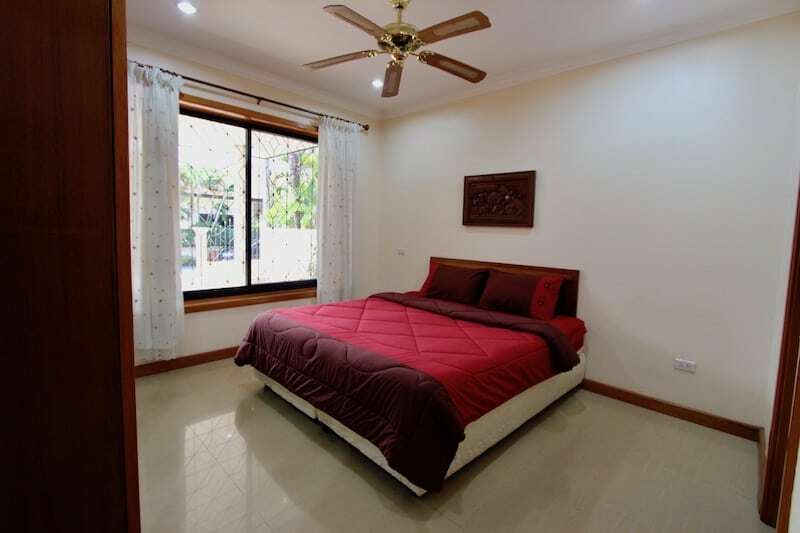 The master suite has built-in wardrobes, a king size bed, direct access to the covered terrace, and an en-suite bathroom with bathtub. 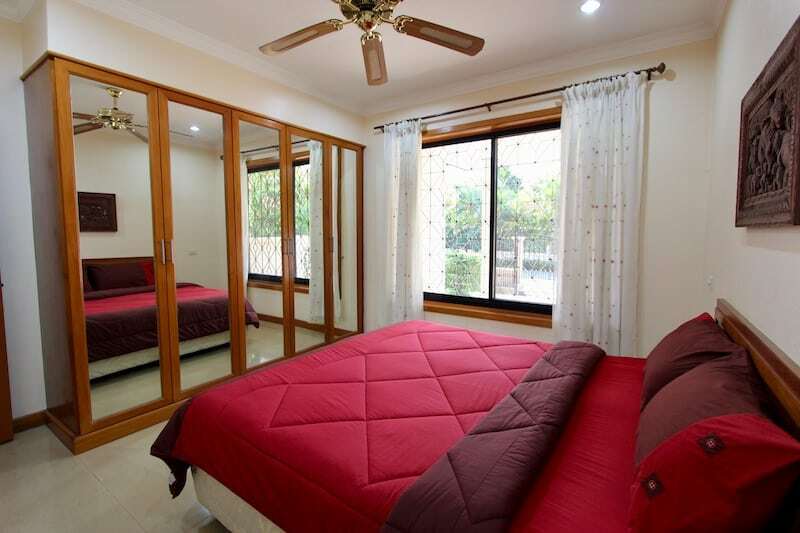 The other 2 guest bedrooms each have built-in wardrobes and share a bathroom. 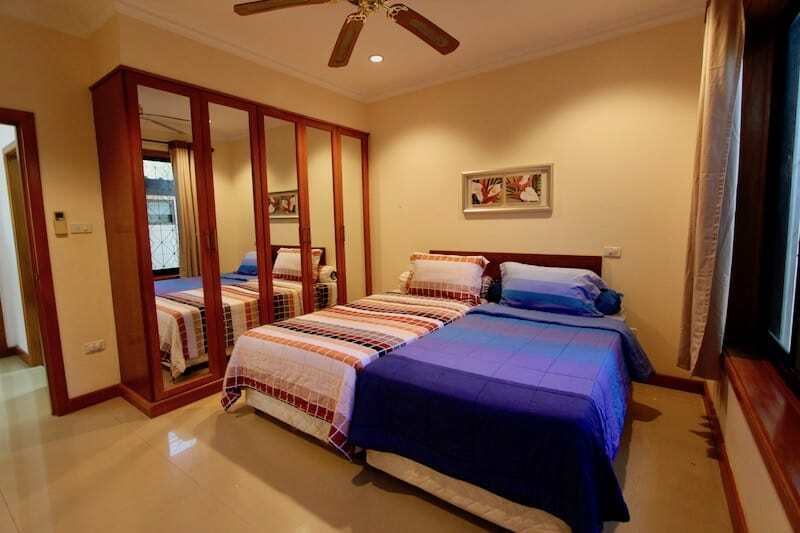 One guest bedroom has a king size bed; the other has 2 twin beds. 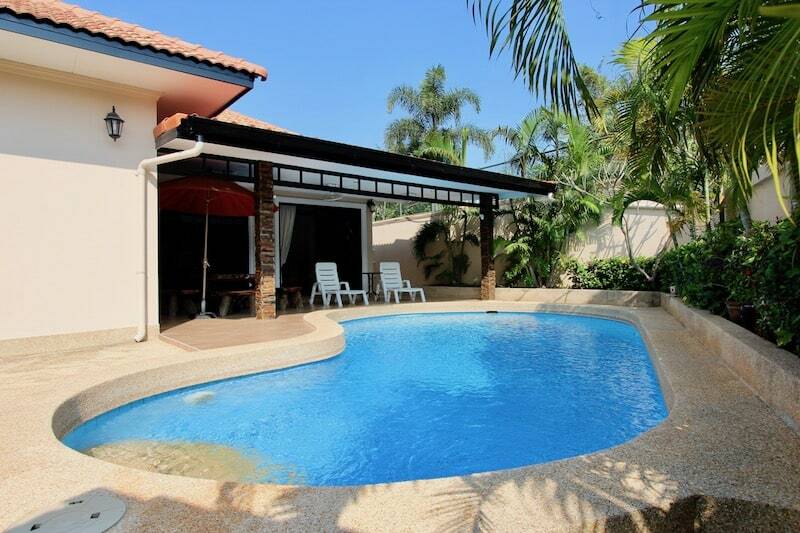 The home is available for medium to long term rental periods only. 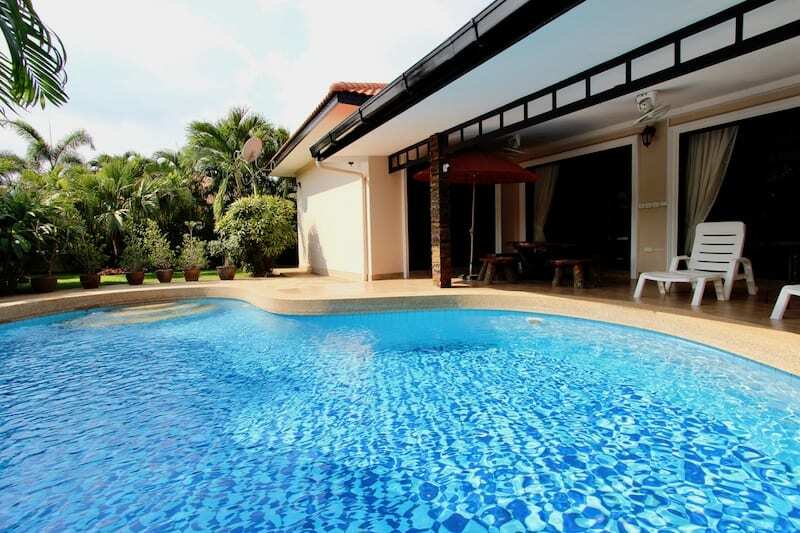 For more information and to schedule a viewing of this Hua Hin home for rent, please contact Executive Homes Hua Hin at +66(0)85.264.2158.